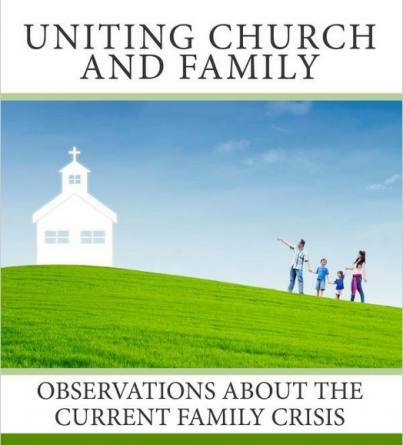 But what are the distinguishing marks of the family integrated church movement? It cannot be the belief in parental responsibility, catechetical instruction or even a desire for more family-oriented activities—as good as these are. These are beliefs common with a host of other conservative Christian parachurch organizations. What chief characteristic makes the NCFIC stand out? While the confession never uses the words “Sunday school” and the like, the practice and logic is clear: 1. “age segregated practices are based on unbiblical, evolutionary and secular thinking”; 2. modern Sunday schools are age segregated; therefore, they are based on “evolutionary and secular thinking.” This conclusion is reinforced through the words of their leaders, their book and their movie as demonstrated in the following points. The defining book of the NCFIC, A Weed in the Church, written by Mr. Brown, is an extended treatment of this serious charge. The movie, Divided, produced by the NCFIC, “discovers the shockingly sinister roots of modern, age-segregated church programs….” With fewer nuances than the book and greater rhetorical flourish, the movie apparently condemns any church program not in alignment with its own views. This is the hallmark of the NCFIC. In the public’s eye this is the face of the NCFIC . After all, the NCFIC did not aggressively promote a book or produce a movie whose titles or main themes were positive. They were both primarily critiques about age and family-segregation. I think more quotes are in order to show the depth of this rejection and denunciation of non-parental instruction of children. It is the very essence of the organization. No individual or church can identify themselves with this movement without identifying with its distinctive. His book, A Weed in the Church, has too many quotes to read, but this one sums up an attitude common to him and his organization: “We believe that age-segregated youth ministry is the result of apostasy in the church” (p.43). He is too nice to say that my church has apostatized. But what other conclusion can I draw? “displaced the discipleship which was designed for the home…Calvin’s experience in this area reminds us of the concerns of ministers, which gave rise to modern youth ministry, when fathers did not obey the Lord in matters of shepherding their families. When fathers refuse to play their roles as the teacher and shepherds of their families, the church often does the same thing Calvin did—it steps in and attempts to pick up the slack through a class or program designed to engage the youth. Even though these practices are well-intentioned, they still overthrow the biblical methods of ministry to children. The problems of youth groups that Calvin faced are the same ones we face today. Gathering youth together without the mentorship of their parents and the relationships of the wider body of the church has always been problematic. It naturally displaces the roles of fathers and exposes the family to other unintended problems” (p.80). This long list of quotes is also needful for the many times I have encountered pastors and ruling elders who somehow think that Scott Brown and his organization are not really about eradicating Sunday school and youth ministries. The NCFIC is dead-set against Sunday schools.